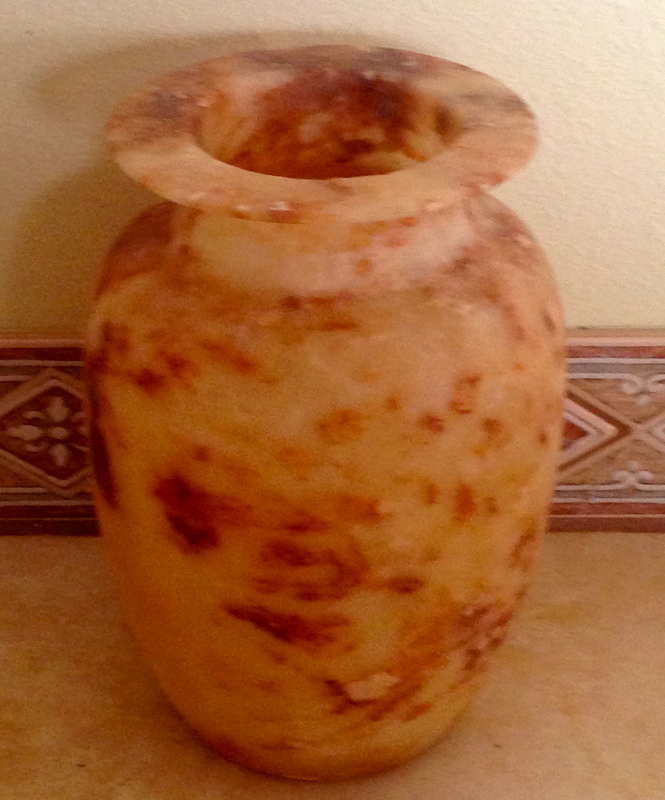 In 2008 I visited an Egypt that no longer exists, and brought home this alabaster pot. The seller urged me to put a lamp inside. I didn’t take his advice, yet every day the pot shines light on what once was. The pot sits on the cupboard that houses the television set. 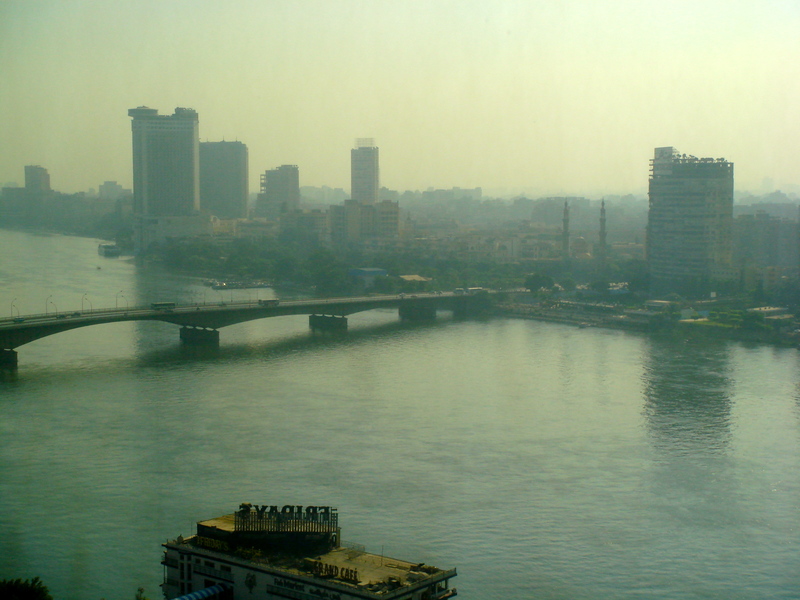 As news reports tell viewers about the latest civic confusion and violence in Egypt, I look at the pot and remember the first time I saw the Nile River through the window of our hotel room. More importantly, I remember the people I met and wonder what has become of them. 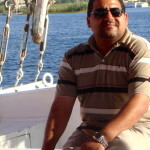 Mohamed Ossama was our Egyptologist and Tour Director. Father of two children, he had a great sense of humor. I remember he was planning a trip to Austria, and looking forward to being in a country where he would not be surrounded by armed guards. Before the crackdown against supporters of ousted President Mohammed Morsi this past August 14, Egyptian tourism was recovering from the effects of the 2011 opposition to former President Hosni Mubarak. Last year 11.5 million foreigners visited Egypt, accounting for over 11 percent of gross domestic product, and about 20 percent of foreign currency revenue. Now, the market has collapsed, with both European and American visitors choosing more stable destinations. Violence does not restrict itself to altercations on urban streets. It ripples through suburbs and villages. 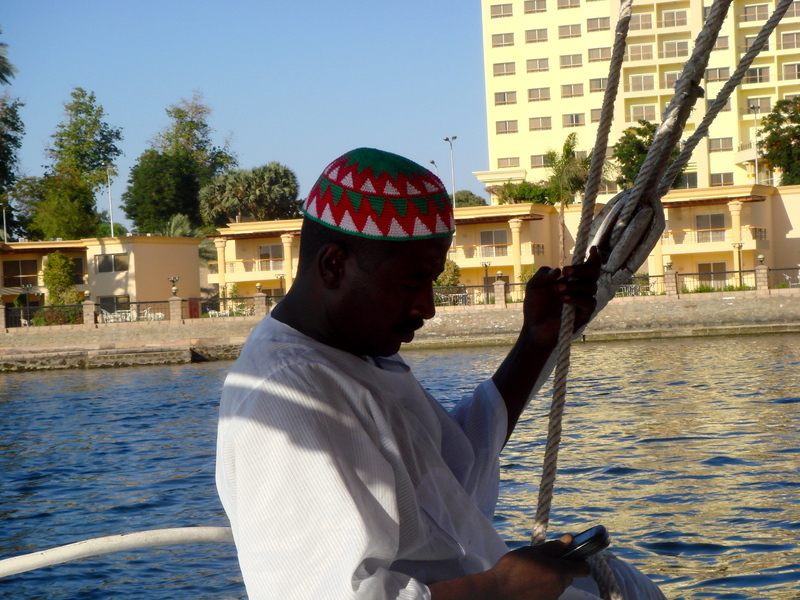 Now when I think of the Nile River, I think of a man sailing a felucca, apprentice weavers, and young professionals. 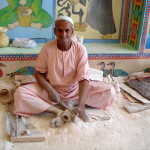 The gentleman sailing our felucca also sold artisanal crafts made by members of his family. 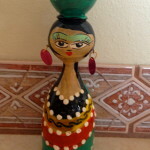 Jewelry, trinkets, small dolls carved from wood. 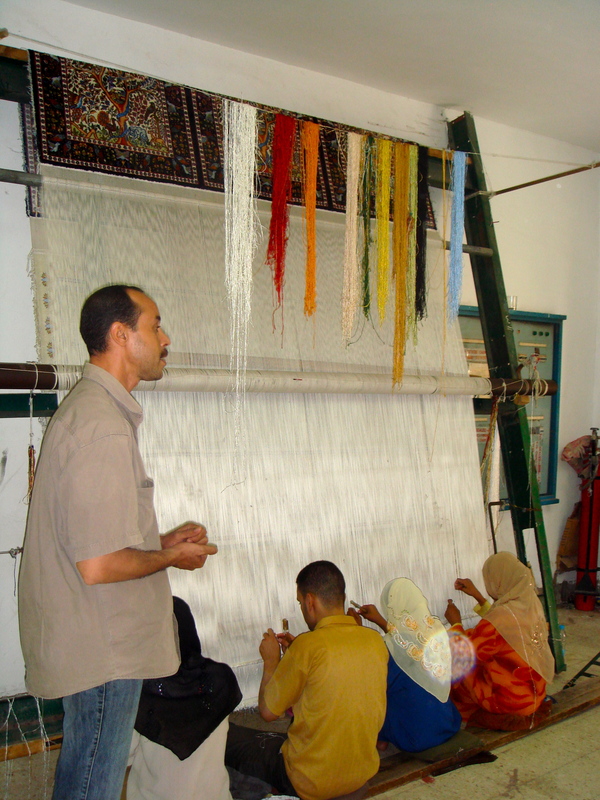 I remember a village workshop where girls, women, and a few young men learned to weave carpets on vertical looms. 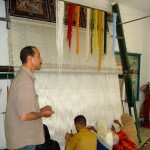 Traditional crafts continued to support the village economy. But without tourists, who will buy their wares? 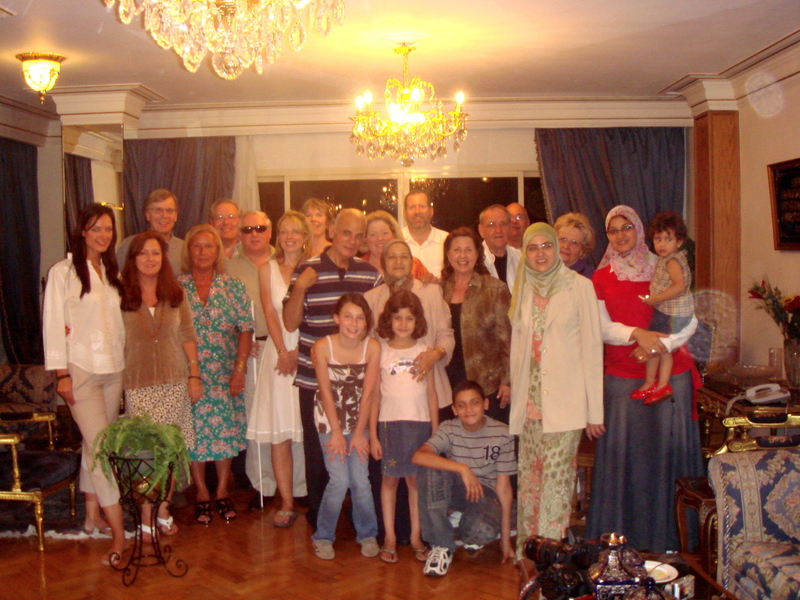 Mr. Assem & Mrs. Amira Abd El Sattar hosted our tour group at their home. 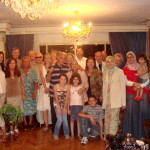 There were ten family members, including grown children and grandchildren. 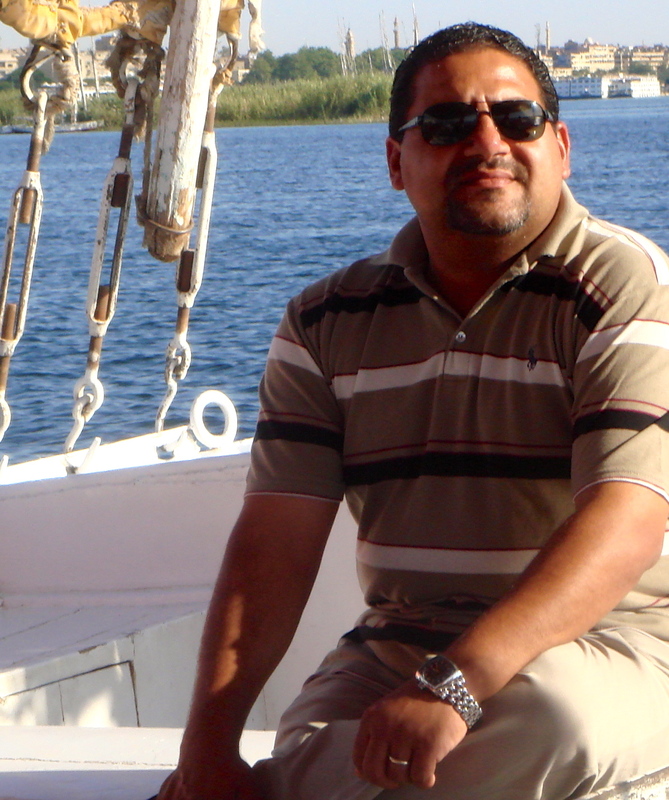 They were well-educated and lived in a prosperous part of Cairo. What, I wonder, has become of them? Is their daughter Manai able to practice medicine? Is Omnya still working in the technology industry? Does Eman continue to work at the Ministry of Telecommunication? Assuredly, their world has turned upside down. And what of this man? 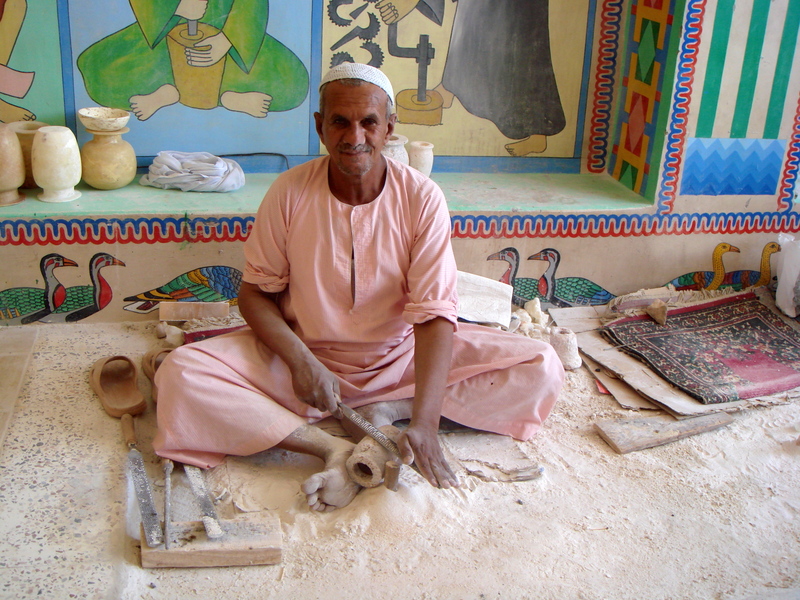 He worked for the shop where I bought my alabaster pot, and, for a small fee, allowed me to take his picture. He did not live in Cairo. He made pots and smoked cigarettes. 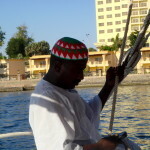 His seemed the most timeless life, more timeless than sailing a felucca on the Nile. 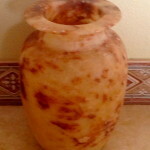 When I look at my alabaster pot, I remember the Egyptians I met five years ago. And I hope they are okay. 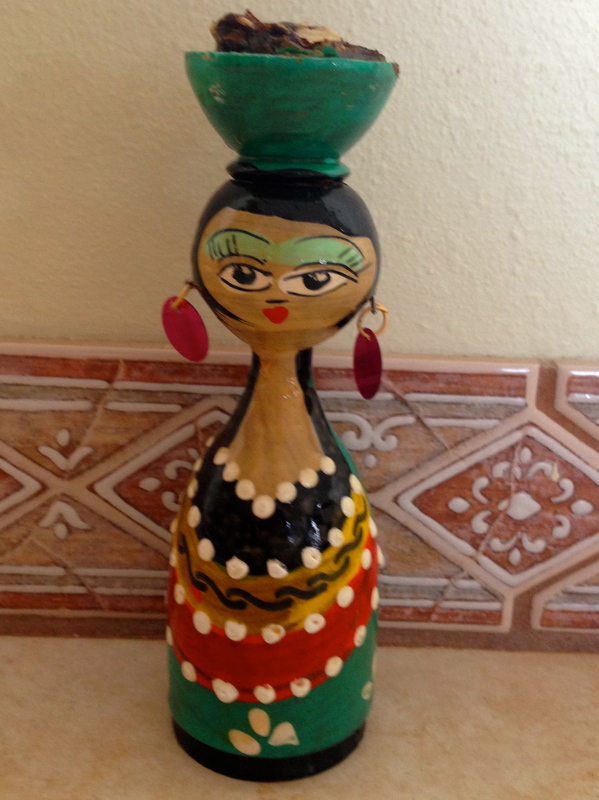 Do you collect souvenirs? Do they bring back happy memories? Do they connect you with world events? Leave a comment. 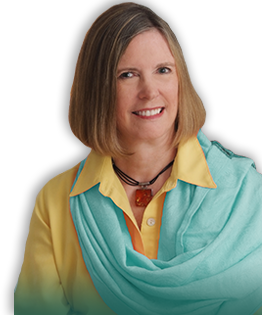 All Photos by Author. All Rights Reserved. Kristen Grieshaber & Aya Batrawy, Unrest Delivers Huge Blow to Egypt Tourism. Associated Press. 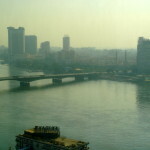 Aug. 23, 2013. https://bigstory.ap.org/article/unrest-delivers-huge-blow-egypt-tourism. Accessed August 25, 2013.